Japan’s underlying inflation rate held steady at 1.0 percent in October, government data showed Thursday, though a recent fall in global oil prices could weaken momentum. 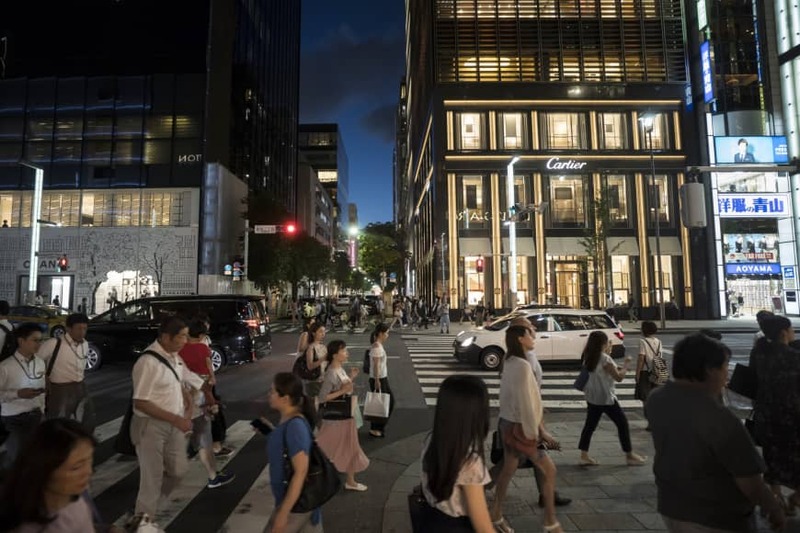 The year-on-year increase in core consumer prices, which exclude fresh food prices because of their volatility, was unchanged from September and remained below the Bank of Japan’s long-sought 2 percent inflation target. Energy items such as gasoline and kerosene were the largest contributors to the gains, lifted by an earlier rise in the global market for crude oil, according to the data released by the Internal Affairs and Communications Ministry. But with oil prices plummeting since early October, there is likely to be downward pressure on consumer prices in Japan, said a ministry official who briefed reporters. Kazuma Maeda, an analyst at Barclays Securities Japan, said that looking ahead the inflation rate is likely to trend around 0.5 percent. “Although output gap improvements and wage growth will serve to underpin prices, (core consumer prices are) likely to be weighed down by the current weakness of underlying inflation,” he said. So-called core-core consumer prices, excluding both fresh food and energy costs, rose 0.4 percent from the previous year, the same pace for the third straight month. Japanese-made tobacco products — which were subject to a tax hike from Oct. 1 — and overseas package tours also pushed up the price data, while mobile phone prices fell. In its quest to achieve 2 percent inflation, the BOJ has deployed aggressive monetary easing measures for more than five years to no avail. It admitted earlier this year that the target is unlikely to be reached through at least the fiscal year ending in March 2021. BOJ Gov. 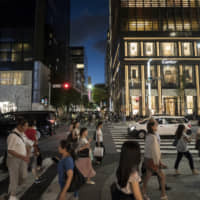 Haruhiko Kuroda has said that wage gains are the missing piece of the puzzle, as they are necessary to loosen households’ purse strings and give firms the confidence to raise the prices of goods and services.